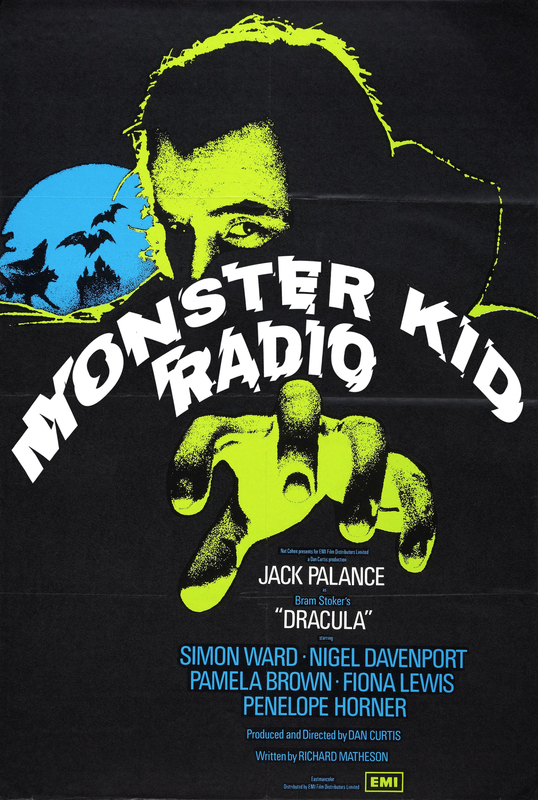 There's been a slight change of plans for this episode of Monster Kid Radio, but it involves Lon Chaney, Jr., so it's all right, right? RIGHT? Face of the Screaming Werewolf (dir. Jerry Warren, Gilberto Martínez Solares, Rafael Portillo) was playing at the Joy Cinema, and there was no way Derek was going to miss this particular Weird Wednesday! Derek introduced the film, and Scott Morris and David Heath (and a few other audience members) joined him after the movie to discuss the glorious assemblage of sounds and images they just watched. And keep listening - near the end of this special episode, Derek tells you what you can expect for the rest of Dancember. Dancember continues on Monster Kid Radio, and we're howling about Scream of the Wolf (dir. Dan Curtis) with Larry Underwood. Who's Larry Underwood? You might know him as the horror host Dr. Gangrene, and he's one of Monster Kid Radio's oldest friends. Also, this week Jeff checks in with another Weird Wednesday Report from the Joy Cinema, and Kenny hits us with another look at Famous Monsters of Filmland. 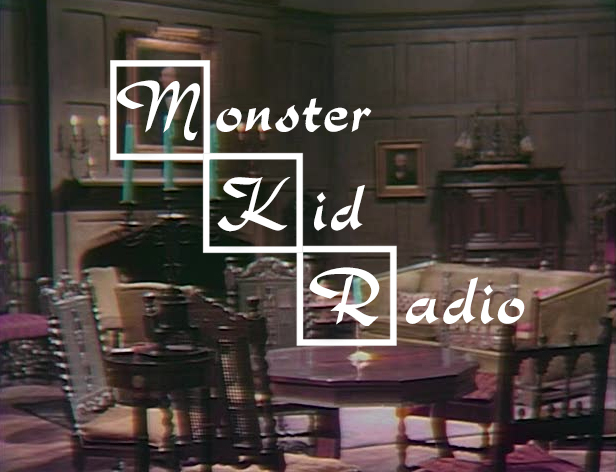 Several previous guests of Monster Kid Radio drop by to share their favorite MKR memories, Derek looks at the previous 400 episodes and looks forward to the future, and Brenda puts up with him! Lots of Dark Shadow talk! 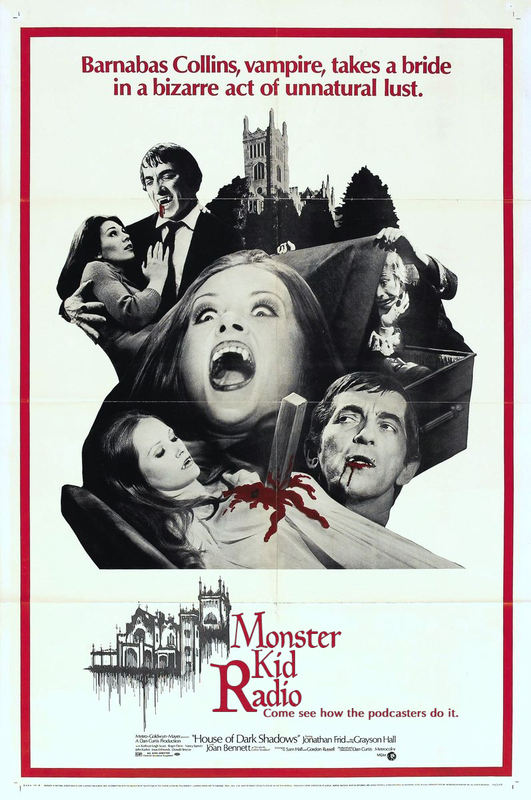 Dancember continues on Monster Kid Radio, and we're going to learn how the vampires do it with Jeff Owens from the Classic Horrors Club when he joins Derek to discuss Barnabas Collins' only turn on the big screen - House of Dark Shadows (dir. 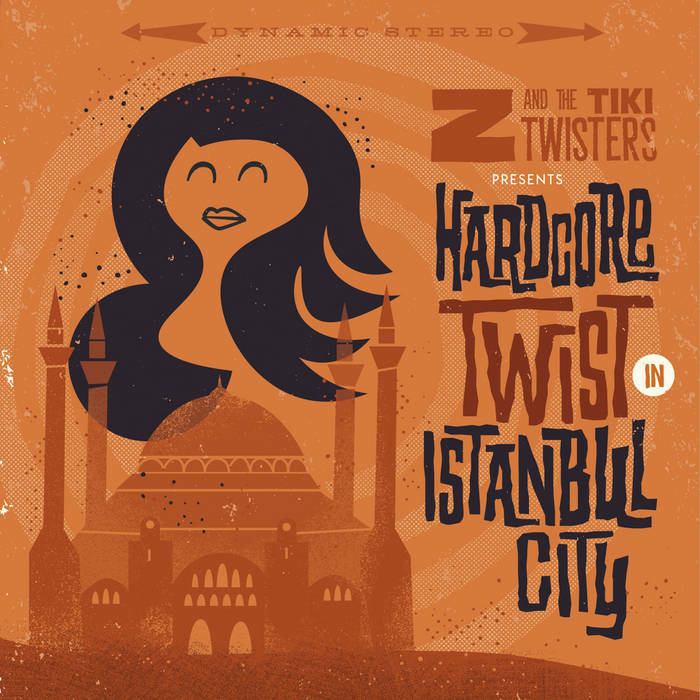 Dan Curtis). 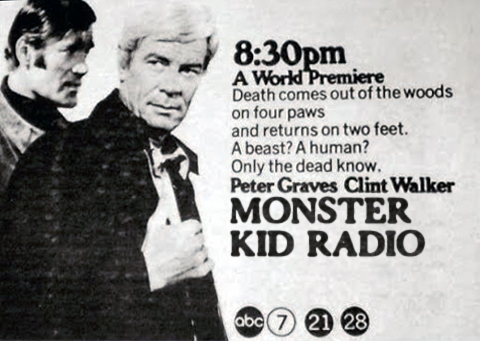 Also, Kenny shows us how Famous Monsters of Filmland covered this fantastic film. Jeff Polier is back with another Weird Wednesday Report about the film Night of the Bloody Apes (dir. René Cardona), and we're getting closer and closer to Episode 400 (it's next week!) so Derek tells you how YOU can be involved with this upcoming episode! And don't forget the 2018 Holiday Gift Guide!